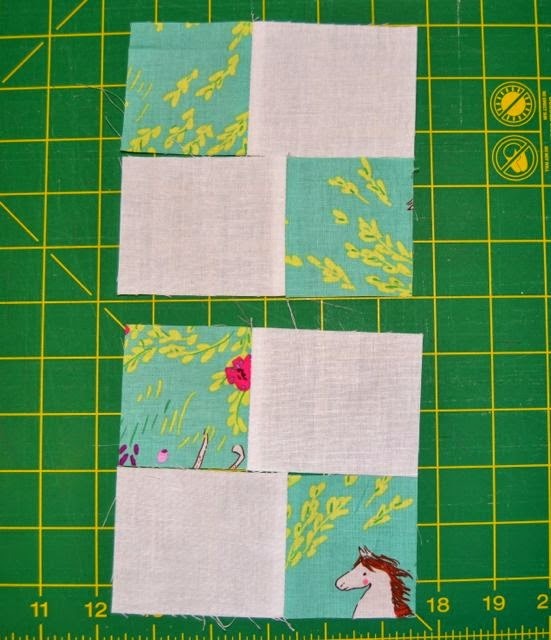 I've been hoarding a fat quarter bundle of Wee Wander fabric for my daughter's "big girl bed" quilt for almost a year. 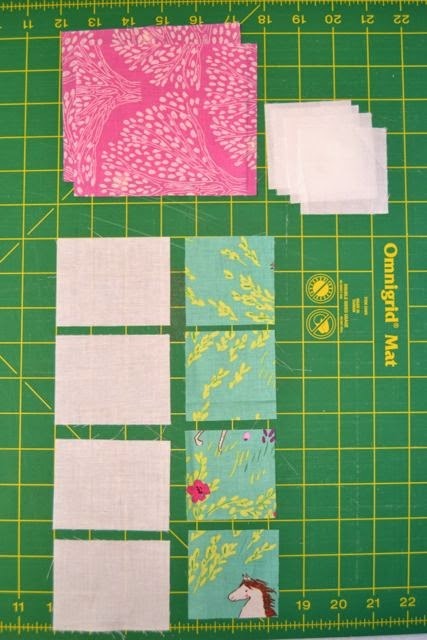 Have you ever had fabric that was almost too pretty to cut into? (You're reading a quilt blog. Of course you have.) Wee Wander is one of those lines that is that pretty. Wild horses, blossoms, children exploring, fireflies... it really doesn't get much more adorable. It's such perfect fabric that I was petrified to cut into it until I had just the right pattern. After months of searching, I finally settled on the Fireworks pattern by Thimble Blossoms. 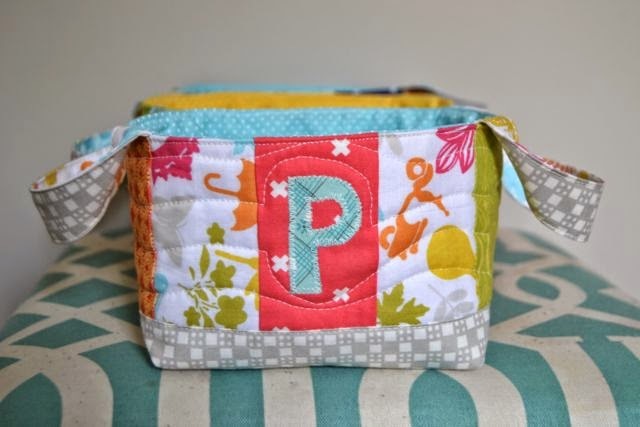 I love their patterns, and this one had everything I wanted: vintage-modern style, lots of white to make the bright colours pop, and blocks big enough to show off fussy cuts of the whimsical illustrations by Sarah Jane. 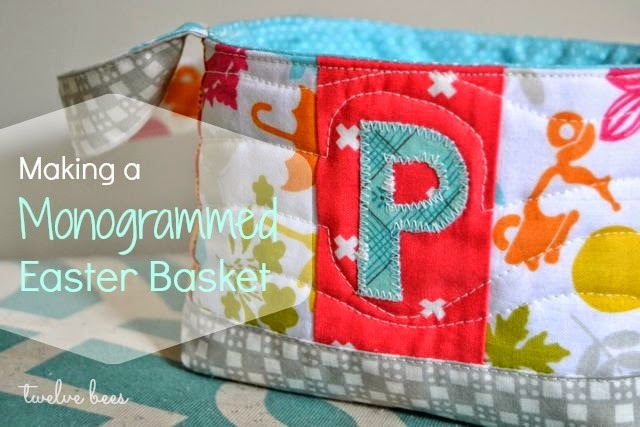 However once I read through the pattern, I started to panic when I saw the amount of fabric that would be wasted if I followed the cutting and sewing instructions exactly. My treasured Wee Wander! I couldn't bear to waste even the tiniest bit of it (regardless of the fact that scraps are always put to good use around here). There had to be a better way. 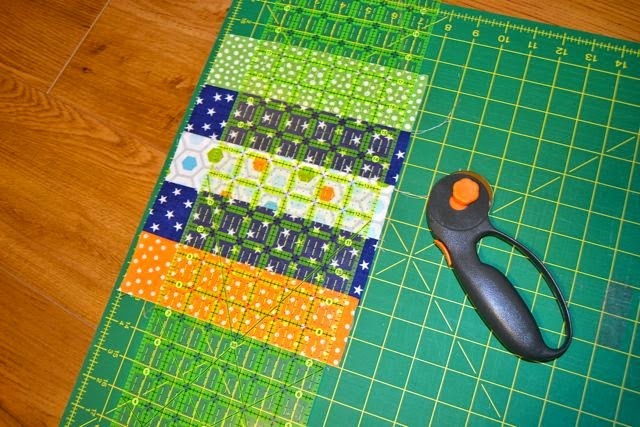 A quick Google search told me I wasn't the first quilter to think so. 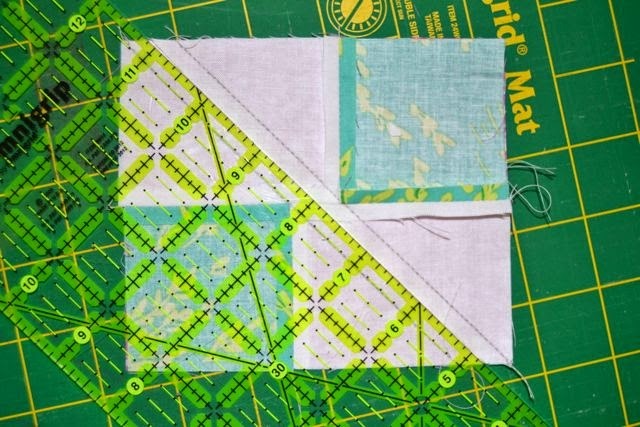 I came across two great tutorials by Two Feet First for parts of the Fireworks block: No Waste Flying Geese and No Waste Long Half Triangles. 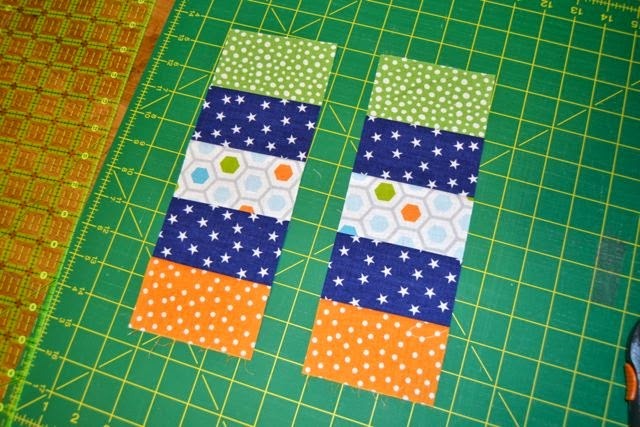 I used them both, and then figured out my own "no waste" method for piecing the remaining part of the block. 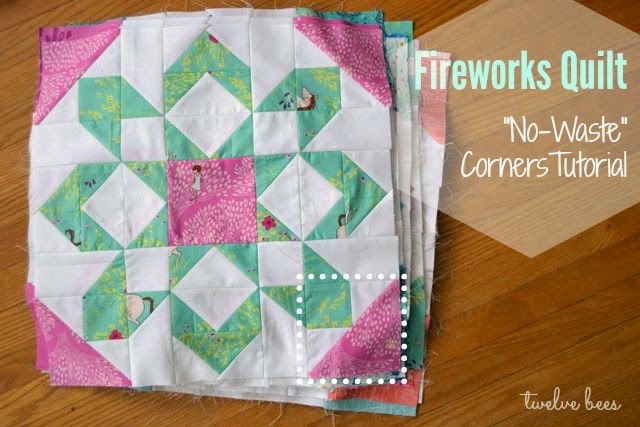 Using these three tutorials, along with the Fireworks Quilt pattern, you will be able to make a beautiful Fireworks quilt a bit more quickly and using less of your precious fabric than the pattern calls for! 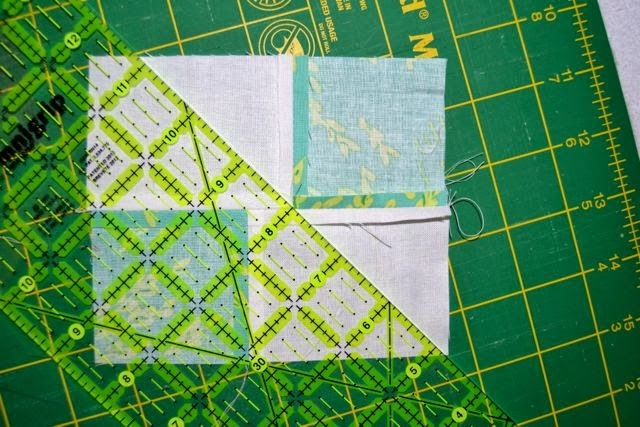 Start by chain-piecing the 4 main-coloured squares onto each of the 4 white rectangles, right sides together, matching the 2.5" sides. Press seams open. On the wrong side of each piece, use your clear ruler to draw two lines. 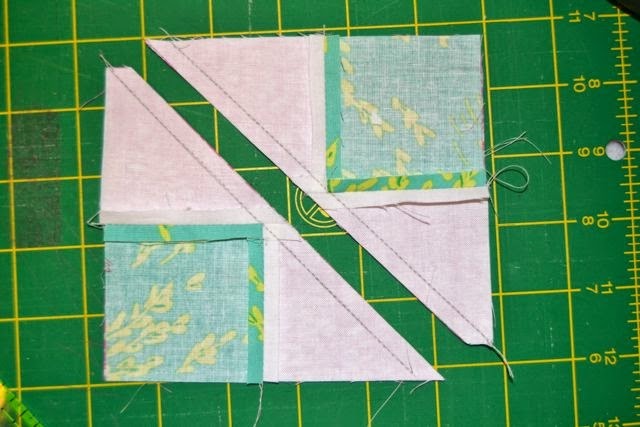 Align your ruler through one corner of the rectangle, right next to the corner of the coloured square, and 0.5" from the opposite corner, as pictured below, and draw a line using a pencil or water soluble marker. 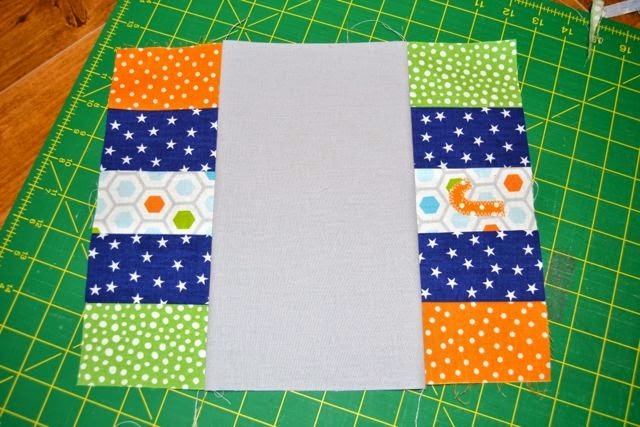 With right sides together, lay this block on top of the "accent" fabric rectangle. They should be exactly the same size (which is why you can't see it in this picture). 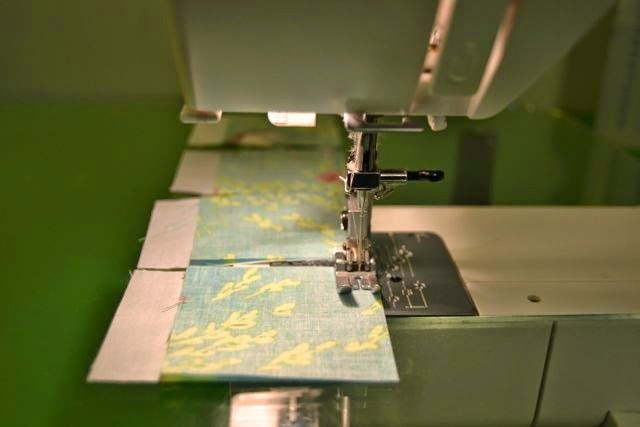 Sew a seam along each of the lines you've drawn. 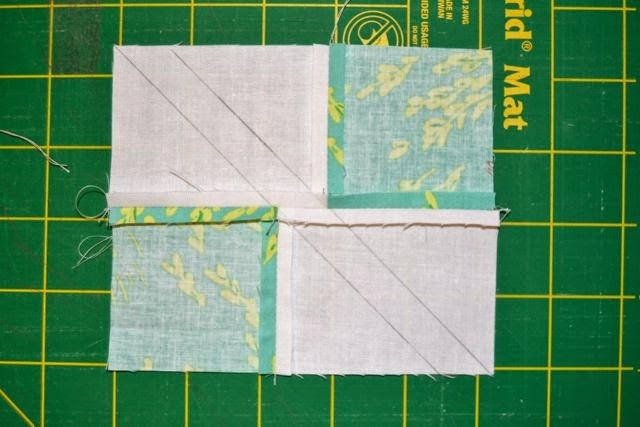 Then, line up your clear ruler in between the two lines, leaving a 1/4" seam allowance on either side. 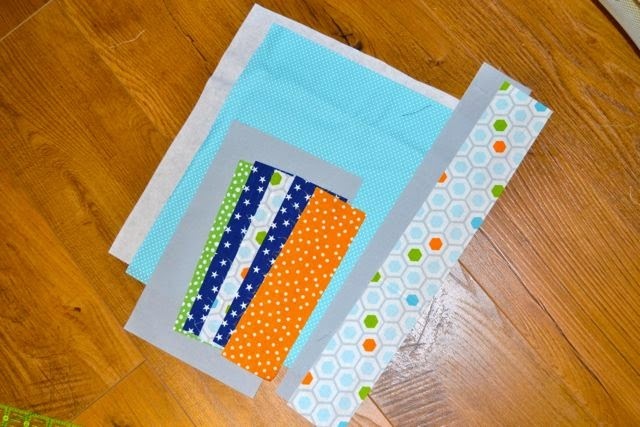 Cut using your rotary cutter, and press seams open. 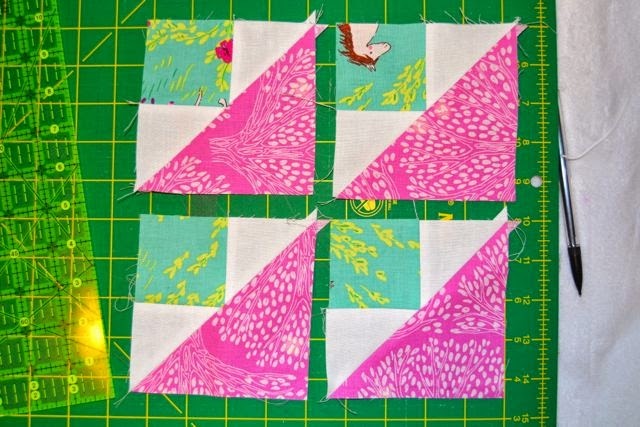 Repeat with the other set of blocks, and you will have made four corner blocks - with no waste! I hope this is helpful to someone else! Please feel free to comment or email if you have questions, and I will do my best to help out. 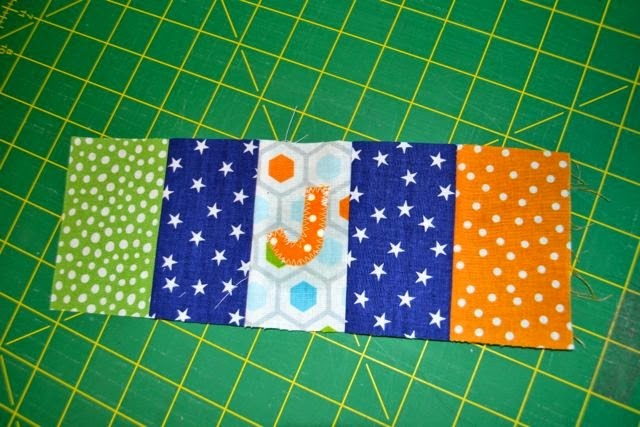 I still have a few blocks left to sew before I can share my finished quilt top (each one is taking me about an hour to piece). In the meantime I'll likely post some WIP photos to Instagram, and you can drool over Megan's stunning king-sized Fireworks quilt for inspiration. My second finish of 2015! 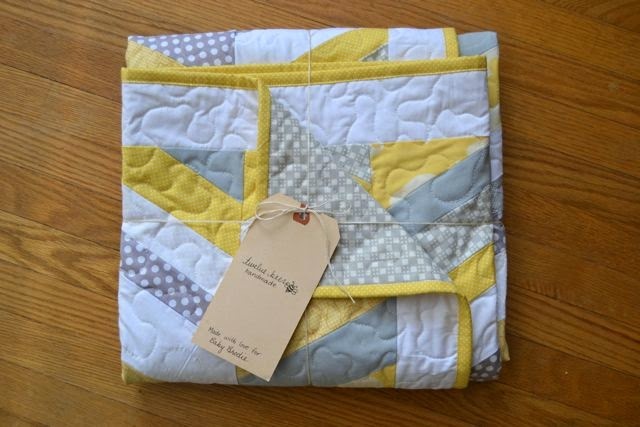 This one is a sweet little baby quilt commissioned by a dear friend and longtime patron of the arts (my quilting art, that is) as a gift for her sister-in-law's baby shower. She always gives me free rein ("Whatever you make will be beautiful!" ...did I mention she's awesome? 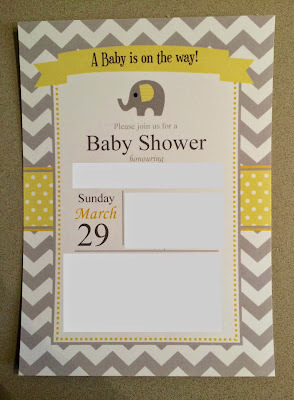 ), but as inspiration for this one she showed me the shower invitation, which matches the soon-to-arrive little's nursery. 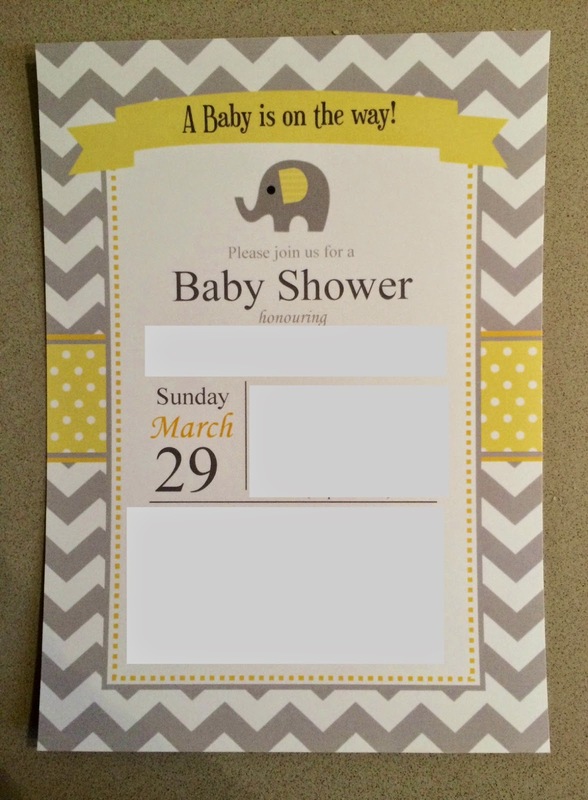 So, we have: gender neutral, chevrons, polkadots, soft grey and buttery yellow, and one cute little elephant. The design I decided on was inspired by this gorgeous minimalist herringbone quilt made by Ashley at Film in the Fridge, which I think captures the idea of chevrons but is less obvious and more modern than your traditional chevron quilt. The fabrics are a mix of stash and some new ones picked up from my LQS (the fabulous Greenwood Quiltery). 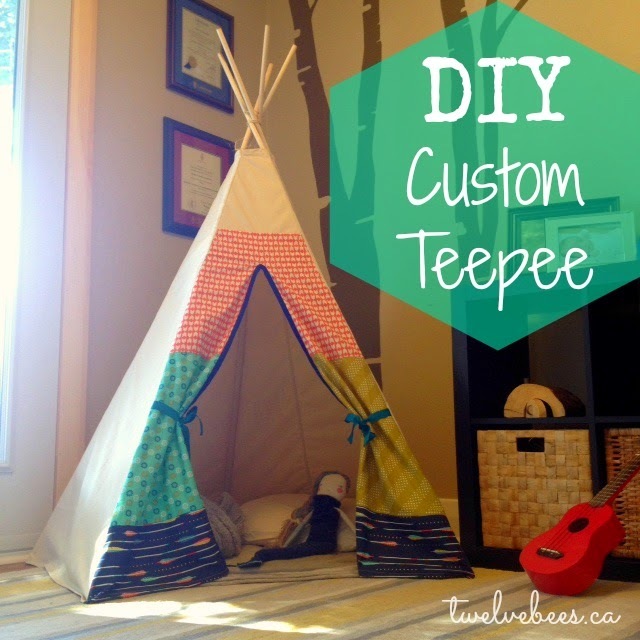 I love guilt-free fabric shopping (custom order, baby)! And the ladies at Greenwood are always excited to help pick out just the right thing - in this case, the perfect buttery yellows to complement my greys and whites. 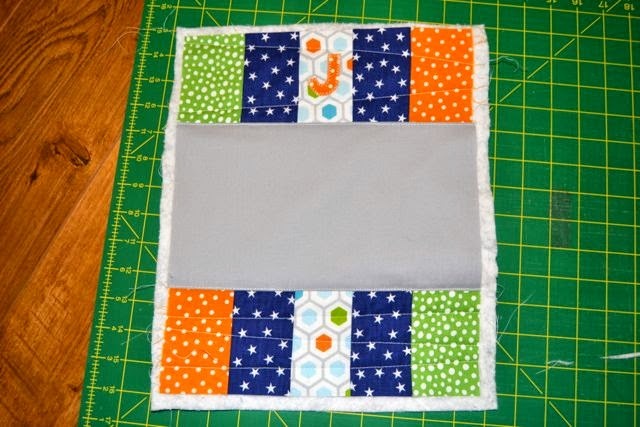 I mixed in some Doe and Widescreen by Carolyn Friedlander with Kona Snow and Ash along with that cute grey check from Happy Go Lucky by Bonnie & Camille (which I also used on the pieced back). 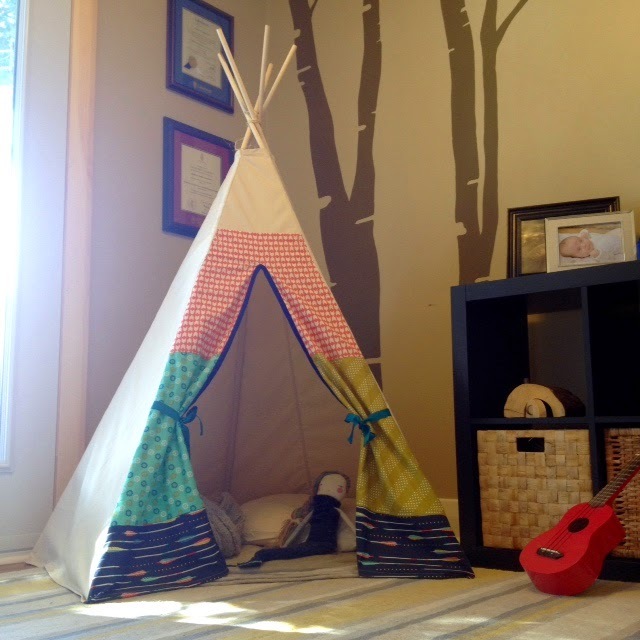 And while I'm firmly of the camp that baby quilts don't have to be "babyish" to be beautiful, I couldn't resist tucking in some sun-coloured Birch Organics Mod Basics elephants to tie the whole thing together. My first instinct for quilting was vertical straight lines, but my friend specifically requested some handwriting be quilted on, so instead I got to practice my free motion skills. I've been working on improving over the past year or so, but I'm still not brave enough to try anything other than stippling on a quilt for someone else. Especially one that someone is paying for! So, an all-over stipple it is (along with some special writing). I think the result is a sweet combination of modern and just a tiny bit edgy (asymmetrical! Carolyn Friedlander!) with cute and playful (polkadots! elephants!) 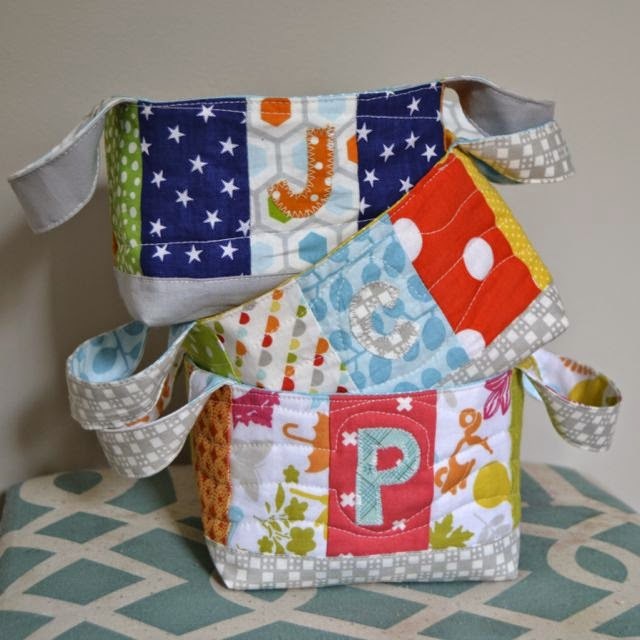 ...perfect for a baby who's bound to be just as cool as the family he or she is about to join.